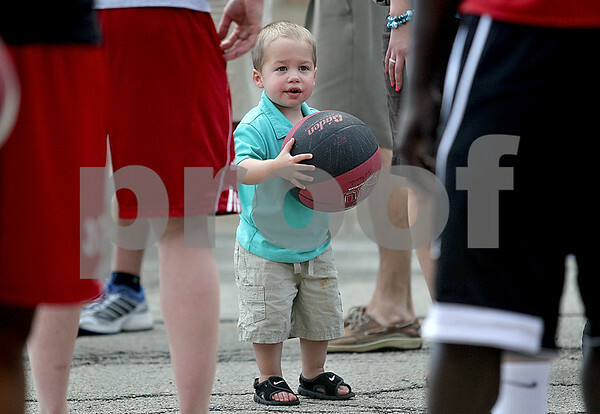 Brandon Seabase, 2, of Sycamore, passes a basketball back and forth with basketball players during the Northern Illinois University Night in downtown Sycamore on Tuesday, June 11, 2013. The event was part of Sycamore's monthly Tuesdays on the Town. About 20-30 NIU athletes hung out with kids, shot hoops and signed autographs.